If you have kids that love creating videos then Disney Channel’s new live-action comedy, Bizaardvark, is perfect for them! My son is obsessed with creating his own YouTube videos so this show quickly grabbed his attention. If your kids love Vine they may recognize one of the actors on the show, Jake Paul, who is a Vine star. 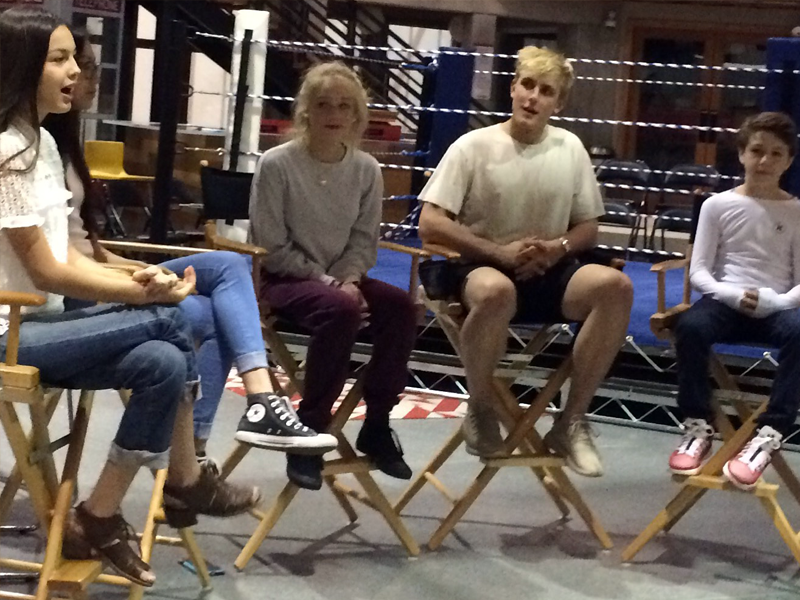 We got to interview the cast during our set visit of Bizaardvark. They were such fun kids and really enjoyed working with one another. Madison Hu and Olivia Rodrigo, who play Frankie Wong and Paige Olvera, are best friends creating their own YouTube channel wanting to make it big time at Vuuugle while Jake Paul (Dirk Mann) and DeVore Ledridge (Amelia Duckworth) characters have already made it big in creating their own videos. Ethan Wacker said his character, Bernie Schotz, is very optimistic and open-minded. He’s quite the hustler on the show and works to make a name for himself just like Frankie, Paige, Dirk and Amelia. Jake said they really are like family since working together. Olivia said her and Madison both play the guitar, piano and sing. Olivia expressed how Madison is better at the guitar and piano while Madison said Olivia is better at singing. You can see how they work off one another’s strengths on the show. They said Olivia can always been heard coming down the hall singing the newest trendy song. The girls said the show has really wanted them to get in to creating their own diy or beauty videos. Madison said she’d even love to create a game channel but with the time you must devote to it she said she’d most likely put that on hold for the time being. Jake said the best advice for starting your own channel is to find your niche and stay consistent. 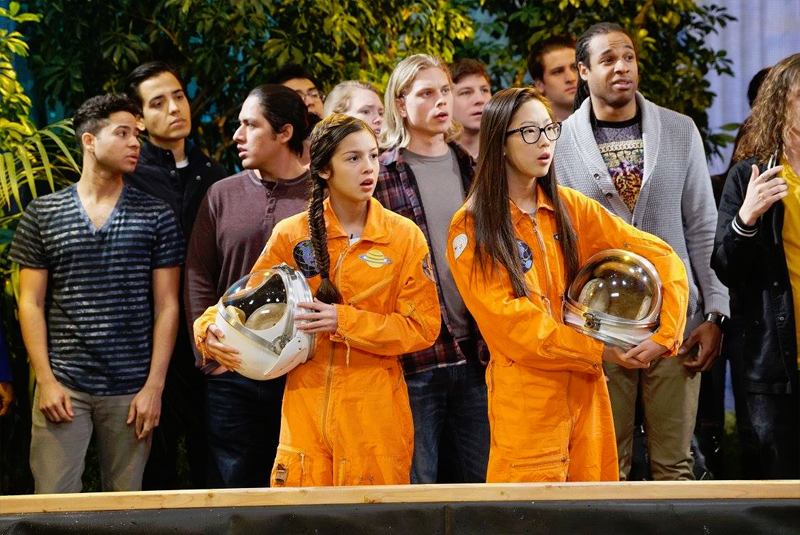 Bizaardvark shows kids they can make anything possible if they work hard and follow their dreams. It really is a very fun show. I love the energy and how excited it can get our kids to create their own channel or whatever it may be. The possibilities are endless! Bizaardvark moves to its regular timeslot with the telecast of its second episode “Draw My Life,” on SUNDAY, JULY 10 (8:30 p.m. EST) on Disney Channel. In this new episode, Amelia gives Frankie and Paige tips to produce their next video, which has to tell the story of how the two met and created their channel. Meanwhile, Bernie tries to help Dirk overcome his worse fear. Tune in to Bizaardvark Sundays at 8:30 pm EST on the Disney Channel!